The USASA National Championships, the largest snowboard and free skiing event on earth, is scheduled at Copper Mountain April 7-11. Top regional athletes are invited to compete for the national championship, and family, friends, and sports enthusiasts are booking vacation rental condos and homes in the Copper Mountain Area for the event. Our job is to make sure travelers and property owners connect, making it much easier for travelers to find the right place to stay, something that will suit their needs and easily suit their budget. The 2012 USASA National Snowboard and Free Skiing national championships are scheduled to take place April 7-11 at Copper Mountain, and already travelers planning to attend are booking private vacation rental condos in the Copper Mountain area instead of hotel rooms, according to John Romano of Colorado Vacation Rentals. Travelers heading to Colorado for the competition are taking advantage of the value that they get with a Copper Mountain area vacation rental home, cabin, chalet or apartment, which allows them to avoid high priced and impersonal hotel rooms and enjoy the opportunity to stay in a comfortable home environment for a fraction of the cost. 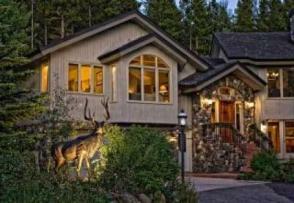 With plenty of competitors and onlookers descending on Copper Mountain for the event, Colorado Vacation Rentals has a variety of newly listed that accommodate up to 20 people, so friends and families can all stay together under one roof, with all the comforts of home. Romano says many travelers have already discovered the benefits of private vacation rental properties, particularly in Colorado where some of the most magnificent vacation rental homes, condos, villas, chalets, apartments and cabins are available to rent for a night, a weekend, or a week. “People have been taking advantage of vacation rental properties for short visits in places all across Colorado, the U.S., and the world for years because of the convenience and savings,” Romano says. Travelers can stay comfortably in a Copper Mountain or nearby Brecekridge vacation rental home or condo, and have some extra cash to spend while they’re enjoying their vacation, and new vacation home rental listings are added daily, with plenty of availabilities through spring and summer. Savvy travelers with an eye on privacy and luxury can comparison shop for the best deal on a Colorado vacation home rental, if they’re only staying the night, according to Romano. For more information, visit the ColoradoVacationRental.com website.